The collect and reading for today may be found here. The appointed gospel is Matthew 20:1-16. We could all tell our own version and experience of this parable. We know people who, in our not so humble opinion, neither earned nor deserved what they got; a job, a promotion, a raise, recognition, happiness, success. That we worked longer and tried harder seemed to make no difference. More often than not we view the world, ourselves, and others through the lens of fairness rather than grace, the exact opposite of how God views the world and our lives. We’ve been taught from an early age that fairness matters. 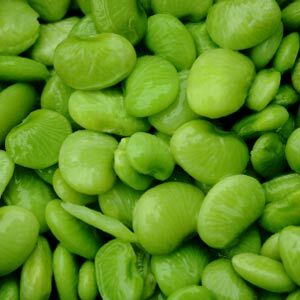 Watch a bunch of children play and it won’t be long before you hear someone say, “That’s not fair!” So it wasn’t fair the night my grandmother gave me twelve lima beans and my sister got only eight. That I actually counted the beans on our plates and that I still remember that night suggests how deeply ingrained within us is the concept of fairness. Maybe it’s just me, but I don’t think so. I am willing to bet that you too in some way have counted lima beans! It’s not just children. Adults want fairness too. Too often, however, fairness rather than love, acceptance, mercy, forgiveness, or generosity is the measure by which we act and judge another person or life circumstances. We like fairness, I think, because it give us some assurance of order, predictability, control, and hierarchy; even if it is a false assurance. Fairness is based on what you deserve, how hard you work, what you achieve, the way in which you behave. Sometimes it is fair to give a reward other times a punishment. We live in and promote a wage based society in which you earn what you get. You deserve the consequences, good or bad, of your actions. What happens though when divine goodness trumps human fairness? You get today’s parable. Today’s parable suggests wages and grace stand in opposition to each other. They are two opposing world views. The degree to which this parable strikes us as unfair is the degree to which our life and world view is wage based. A wage based world view allows little room for grace in our own lives or the lives of others. Grace is dangerous. It reverses business as usual. “So the last will be first, and the first will be last.” That’s not how a wage based society works. The world says the last are last and the first are first because they deserve it. It’s what is fair. Our understanding of fairness, however, does not seem to have priority in the kingdom of heaven where grace is the rule not the exception. Grace looks beyond our productivity, our appearance, our dress, our race or ethnicity, our accomplishments, our failures. Grace recognizes there is more to you and who you are than what you have done or left undone. Grace reveals the goodness of God. Wages reveal human effort. Grace seeks unity and inclusion. Wages make distinctions and separate. Grace just happens. Wages are based on merit. The only precondition of grace is that we show up and open ourselves to receive what God is giving. When we do we begin to see our lives, the world, our neighbor differently. Many of you know that before going to seminary I practiced law for about fifteen years. Every month the score sheet would be distributed to all the attorneys in the firm. It listed the name of every attorney, the number of hours they worked, the number of hours billed, and the number of dollars collected. It was the basis for our wages and the incentive for our comparison, competition, expectation, and judgments. We knew who had begun work at dawn, who slept in until 9:00 a.m., who came in at noon, who showed up at 3:00 p.m., and who dropped in at 5:00 p.m.
Grace reminds us that we are not nearly as self-sufficient, deserving, or independent as a wage based society would like us to believe. Neither is our worth determined by our productivity or usefulness to another. Grace does not justify or excuse discrimination, unfairness, or oppression. To the contrary it holds before us the truth that each person is more than their behavior, their looks, their accomplishments, or their failures. The tragedy of a wage based life is that it blinds us to the presence of grace, the life of God, in our own life. It can make us resentful of grace, goodness, and beauty in the life of another. It separates and isolates us from others. Eventually we set up standards and expectations not only for ourselves and others but for God. That’s what happened to the first hired in today’s parable. They saw themselves as different from and more deserving than the later hired. They grumbled against the landowner saying, “These last worked only one hour, and you have made them equal to us.” The truth is they are not that different from each other. Neither group owned the vineyard. Both groups needed a job and both groups were chosen, invited in, by no effort of their own doing. There is, however, something that distinguishes the first hired and the later hired. The distinction is not what time they showed up to work. The real distinction between the first hired and all the later hired is the terms under which they entered the vineyard. The first hired entered the vineyard only after agreeing to the usual daily wage. They settled for too little. They shortchanged themselves. That’s often what happens in a wage based society. Apparently the landowner is willing to pay more than the usual daily wage. A full day’s wage for less than a full day’s work. “That’s not fair,” we might say. No, it’s not. That’s grace. The first hired got what they bargained for. The later hired workers, those who come at 9:00 a.m., noon, 3:00 p.m., even 5:00 p.m., did not, however, negotiate for the usual daily wage. They entered the vineyard trusting they would be paid “whatever is right.” Whatever is right is not determined by the first hired or by a wage based society but by the goodness of the landowner. These later hired workers received more than they earned, more than they deserved, more than they had a right to ask or hope for. That’s just what God does. “Whatever is right” isn’t about fairness but about grace. Why settle for the usual daily wage when God wants to give you “whatever is right” for your life, your needs, your salvation? “Whatever is right” will always be more than fair, more than we could ask or imagine. Yet we sometimes trust a wage based life more than we trust grace. In so doing we deny ourselves and others the life God wants to give. So how might we begin to move from a wage based life to the vineyard of grace? Stop comparing yourself and your life to others and you will create room for grace to emerge. Refuse to compete in such a way that someone must lose for you to win. Trust that in God’s world there is enough for everyone. Let go of expectations based on what you think you or others deserve. Give God the freedom to pay whatever is right knowing that God’s ways are not your ways. Make no judgments of yourself or others. That is the way of grace, the way of God. Imagine if we all let go of those four things; comparison, competition, expectation, and judgment. Your life would be God-filled, you would make space for the life of another to be God-filled, and the world would, the parable tells us, look a lot like the kingdom of heaven. What a freeing way to live. Pretty peaceful too. Wow! Thank you so much for this powerful message. There are times when I find the concept of grace a bit abstract, and your words help me see how grace is part of daily life. Barbara, thank you so much for your comment. I am glad the post was helpful. I think grace is sometimes like the little fish who asked his dad, “When do we get to see the ocean?” We are always swimming in a sea of grace. Wow! Again, an invitation to “let go”! I’m going to do some writing – perhaps a poem – about his. Your last two paragraphs were especially compelling, Mike. Thank you for sharing your wisdom. Jan, yes, letting go in some way opens us to grace. What a crock! If someone didn’t pay you your salary you’d be the first to sue! You lead a comfortable middle-class life and want other people to accept whatever happens? Easy for you to say. What about letting the properties go that get challenged in court by schismatic groups? You fight tooth and nail over those, but the rest of us shouldn’t fight over what we think belongs to us? Hypocrite. Life in a wage based world is difficult and tempting. No doubt I often fail to fully live the gospel’s message. Lord Jesus Christ have mercy on me, a sinner. Enjoyed reading. Thank you. Got choked up at one part. enjoy reading this Thank You for sharing.God bless. Often use many of your commentaries (and give you credit of course) on our Wednesday Agape discussion times. They are always insightful and I found this gem especially helpful for our group tonight! Thanks Mike! Virginia, I am so glad to know the commentaries have been helpful. Thanks for telling me. I hope you are well. Blessings on your ministry and parish. Wow! Suddenly this passage is much more clear after 30 years of wondering. Thank you. It is a relief. Yes, a truly helpful interpretation. Thank you. It is a fantastic homily and explanation of the parable. Next Next post: On Entering Church – Talking or Praying?